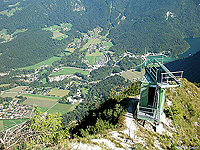 The 2011 International Summer School on GNSS will take place July 20 to July 30 at the GATE facility in Berchtesgaden, Germany. GATE is the German Galileo Test and Development Environment that opened in February. Online registration is now open. The summer school welcomes 50 participants who are in their third year or later of graduate school, doctoral candidates or early stage researchers, engineers and professionals who are 35 years old or younger. Organizers encourage early registration because admission is "first come-first served." This will be the fifth year for the popular annual event, which was held last year in Denmark. Summer school directors come from the European Space Agency, UNIBW (University FAF Munich), Stanford University, Institute Superieur de l"Aeronautique et de l’Espace (ISAE) and TU Gratz. The school is sponsored by ESA, the European Space Agency. GNSS – Global Navigation Satellite Systems – is based on a variety of disciplines from science and engineering. The technology draws from numerical analysis, statistics, signal processing, geodesy and classical astronomy. At summer school, students can expect a comprehensive overview on the design and development of satellite navigation systems and their applications. In addition to lectures on fundamentals, the various GNSSes will be addressed specifically: GPS, GLONASS, Galileo, Compass/Beidou 2, QZSS, IRNSS and the augmentation systems. For more information, email Ms. Antje Tucci at UNIBW.